When having a young child or a few young children, you must give them the best toys to play and be happy. These toys must be safe and interesting to your kids in order to attract their attention for a long time. If you plan to buy a big toy, there is no better choice than inflatable toys are. They are safe to use, have an appealing design for little ones, and can engage them for hours. However, the question is how to find the best inflatable toy for your own child/children. In the text below, find out how to find such a toy that best fits your kids and your home alike. First of all, it is very important for you to consider the actual size of your house rooms. If you are lucky enough to live in a large house that has spacious rooms, it is important that you choose a larger bouncer room for your little one. I have managed to single out the Frog Inflatable Bouncer with the combo. It looks very eye-catching and the best thing it comes with the repair kits. The bouncer has a forest environment style design hence your little one can comfortably play with mushroom, trees and frogs. Therefore, this witty toy combines healthy and fun activities for your child. On the other hand, if you live in a smaller house, like the studio apartments, or even any other kind of living space that has a small area, there is no problem. You can comfortably choose from the numerous toys that do not take up lots of space and they are designed to fit the smaller houses. One of such toy is the Inflatable Clown Slide Bouncer. This little and cute yellow bouncer will comfortably fit into any interior and especially into rooms with yellow painted walls. The funny design is appealing for every kid. In addition, this toy has a small slide found in its composition and it comes with a protective mesh all over the bouncer. One more inflatable item that is suitable for the households that have a backyard pool is the inflatable Transparent Water Walking Balls. These beautiful balls come with a zipper for you to close after entering. It also has a valve for the inflation. All you need is to go inside and let the other person inflate it and then push it to the pool. It is versatile enough to be used on both land and water. Hence, those families without private pools can comfortably use these walking balls in their yards or lawns. These balls are great fun for the whole family regardless of the age. The subsequently inflatable product is suitable for the families that have a private swimming pool in their homes. You can make your pool more striking place for different games with the Small Inflatable Water Slides. These slides will make your swimming pools much loved by your entire family members and especially your children. With a wide range of design, you can choose the most appropriate one according to the size, design and look of your pool. 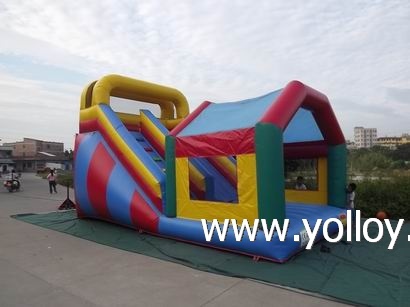 For more info, click: http://www.yolloy.net/Commercial-Inflatable-Slides/, and http://www.yolloy.net/Inflatable-Jumping-Castle/, andhttp://www.yolloy.net/Inflatable-Bounce-House/. 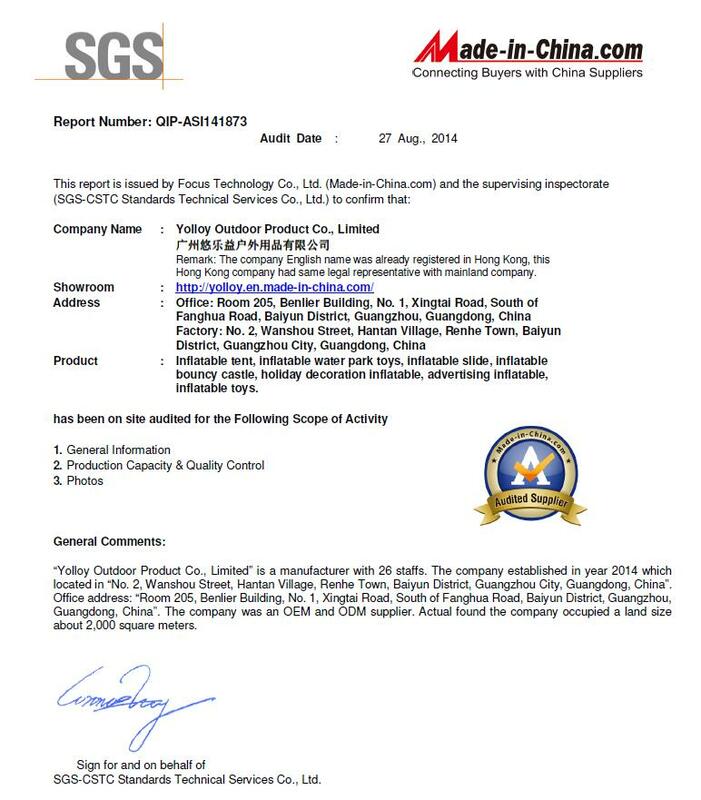 • Inflatable Bouncer------Recall Your Best Memory!